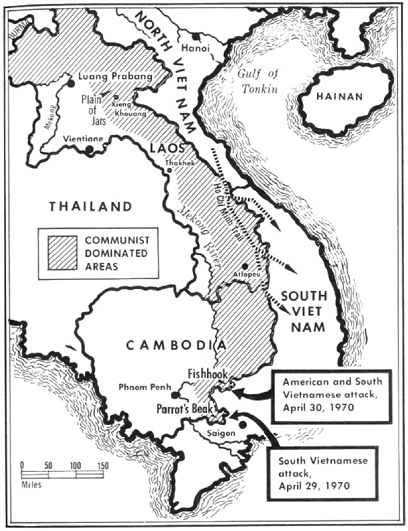 Sometime in 1961 or 1962, a map roughly like this appeared in my local paper, showing not only the exotic international boundaries of Laos but also indicating who controlled what on the ground (or so it claimed). Despite the considerable strategic importance attributed to Laos at that time, not much news of Laos everappeared in the papers. I have to admit I never systematically explored Laotian history. But today when I was leaving our local public library, I spotted a book by Joshua Kurlantzick. A Great Place to Have a War: America in Laos and the Birth of a Military CIA. Interesting that Kurlantzick has also written a book on "the world-wide decline of representative government." Image: The mysterious "Plain of Jars." Named and designed by Jack Vance?